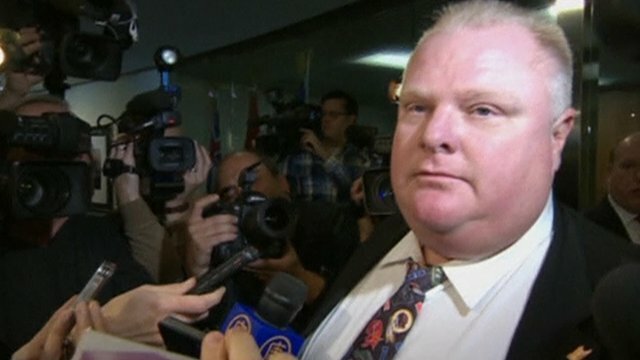 'Inebriated' mayor threatens murder Jump to media player Embattled Toronto Mayor Rob Ford has apologised for a video of him making threats to commit "first-degree murder" against an unknown person. Mayor: 'We must get back to work' Jump to media player Toronto Mayor Rob Ford has said admitting that he had smoked crack cocaine was "the most difficult and embarrassing thing" he had ever done. 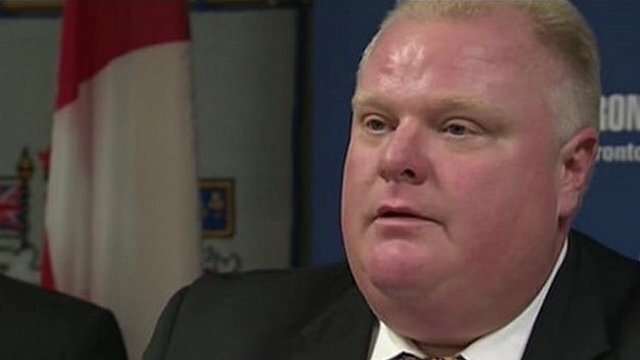 'I have smoked crack cocaine' Jump to media player Toronto Mayor Rob Ford has admitted smoking crack cocaine in a "drunken stupor", after allegations first emerged in May that he had used the drug. 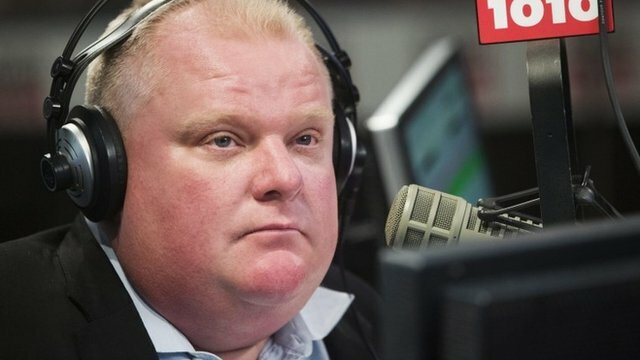 Mayor confirms 'stupid mistakes' Jump to media player The mayor of Toronto, Rob Ford, has used his weekly radio show to apologise for "mistakes" and drunken behaviour, but said he would not leave office. 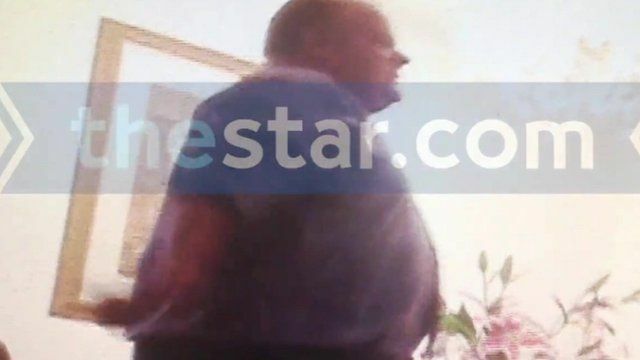 Toronto mayor denies crack smoking video Jump to media player Toronto Mayor Rob Ford has denied allegations he was caught on camera smoking crack cocaine. 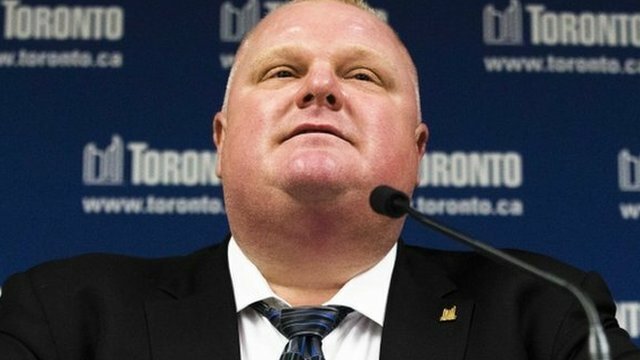 Toronto mayor 'won't quit over video' Jump to media player Toronto Mayor Rob Ford has refused to quit after police said they recovered a video appearing to show him smoking from a crack pipe. Embattled Toronto Mayor Rob Ford has apologised for a video of him making threats to commit "first-degree murder" against an unknown person. The leader of Canada's biggest city told reporters he had been "extremely inebriated" in the clip, which shows him apparently blowing off steam. It is the latest controversy to engulf the mayor, who admitted this week having smoked crack cocaine. The BBC Rajini Vaidyanathan in Toronto said that the mayor was continuing to work from his office at City Hall despite the emergence of the video.